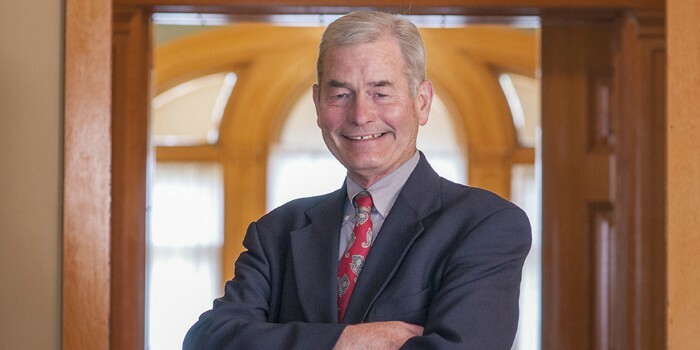 John P. Burke, the John G. McCullough Professor of Political Science, specializes in American politics, the American presidency, and ethics and public affairs. He has published nine books and over fifty articles and book chapters. His latest book is Presidential Power: Theories and Dilemmas (Westview Press: 2016). He is also the author of an important study of the president's national security advisor: Honest Broker? The National Security Advisor and Presidential Decision Making, (Texas A&M University Press: 2009). Another area of recent and on-going research is on presidential transitions to office. Professor Burke has published a number of articles on presidential transitions and two books: Becoming President: The Bush Transition 2000-2003 and Presidential Transitions: From Politics to Practice, which focuses on the Carter, Reagan, Bush Sr., and Clinton transitions and early presidencies. Both are published by Lynne Rienner Publishers (www.rienner.com). In addition, he is the author/co-author of The Institutional Presidency: Organizing and Managing the White House from FDR to Bill Clinton (Johns Hopkins University Press: 2000); Advising Ike: The Memoirs of Attorney General Herbert Brownell (Kansas University Press: 1993); The Institutional Presidency (Johns Hopkins University Press: 1992); How Presidents Test Reality: Decisions on Vietnam 1954 and 1965 (Russell Sage: 1989); and Bureaucratic Responsibility (John Hopkins University Press: 1986). His book, How Presidents Test Reality, won the 1990 Richard Neustadt Award of the American Political Science Association for the best book on the American presidency. He has served on the editorial board of Public Administration Review and as a member of the executive committee of the Presidency Research Group of the American Political Science Association. From 1991-1995 he was the chairperson of the political science department at UVM. He received his AB from Stanford University (1975) and his MA and PhD (1982) degrees from Princeton University. He is a member of Phi Beta Kappa. Professor Burke was designated a "University Scholar" -- one of four throughout UVM -- for AY 2009-2010. Professor Burke has also served as Associate Dean of the College of Arts and Sciences (2011-12, 2013-17). American Politics, the Presidency, Ethics and Public Affairs. His recent work focuses on presidential transitions to office.